By default, VMs are configured for English (US) keyboard layouts. The layout of your local, physical keyboard. The keyboard layout specified in the guest OS settings. If these elements do not match, the characters typed into the VM will be incorrect. International keyboards are not supported for Power A particular type of CPU that supports IBM i, AIX, and Linux in Skytap Cloud. VMs. Change the Keyboard layout setting in the SRA browser client session to match your local, physical keyboard. From the Environment details page or a sharing portal, click on the thumbnail image of the running VM you want to access. 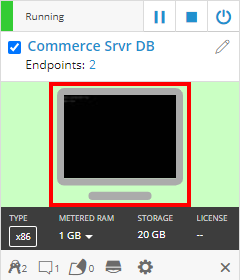 The VM desktop or console opens in the SRA browser client. Select a new layout from the Keyboard layout list. The on-screen keyboard displayed when you click Show Keyboard. How the keystrokes from your local keyboard are interpreted by the VM. This setting affects your SRA browser session. It does not affect other users’ SRA sessions to the same VM. Check that the language settings in the VM guest operating system (Windows or Linux) match your physical keyboard and the Keyboard layout setting you selected in the SRA browser session. You may need to edit these settings. For Windows, see Change your keyboard layout. For a VM with Windows 7 or older, you must also change the language of the Welcome screen to match the language you’ve selected for the keyboard layout. 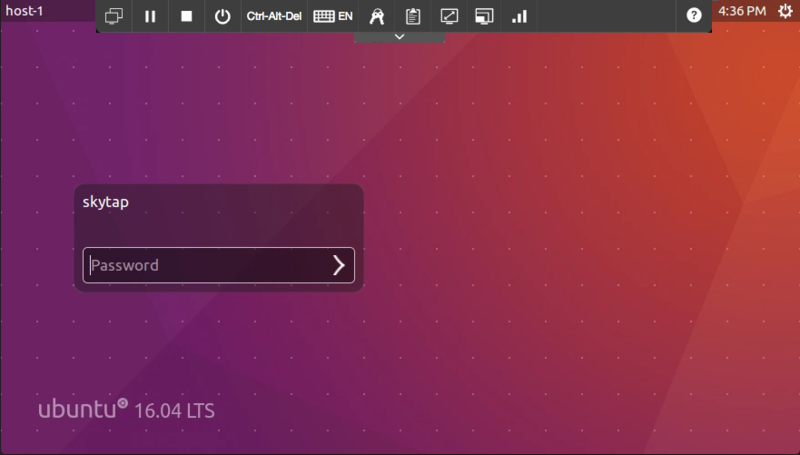 For Ubuntu Desktop, see Use alternative input sources. For Red Hat Enterprise Linux, see Keyboard Configuration. If you are experiencing issues with a single key, use the on-screen keyboard in the SRA client to enter the character on the screen. If you are using Microsoft Edge or Safari, try switching to Chrome or Firefox. We recommend using one of the following types of keyboards: a short Mac keyboard (without the keypad), a built-in laptop keyboard, or a PC keyboard. Note that French-Belgium and Spanish-Mexico keyboard layouts are not supported by macOS. Try an alternate keyboard layout or use the on-screen keyboard. Change the Keyboard mapping setting on the VM Hardware settings page to match your local, physical keyboard. The Keyboard Mapping setting controls how the keystrokes from your physical keyboard appear to the VM when you access the VM over SmartRDP. Change the keyboard language settings in the VM guest operating system (Windows or Linux) to match your physical keyboard and the Keyboard layout setting you selected in the SRA browser session. Direct RDP and other access methods are not affected by the Keyboard mapping setting on the VM hardware settings page. These connections occur directly between your machine and the VM guest operating system. For best results, make sure your local, physical keyboard matches the VM guest operating system settings or the settings in the application you are working with. Skytap Cloud does not support keyboard language issues when connecting to a VM outside of SRA or SmartRDP. Skytap Cloud uses the SRA Keyboard layout language to mimic keystrokes while inserting VM credentials in the VM. If you plan to use a non-English (US) keyboard layout in the SRA browser client, make sure you enter the VM credentials using a physical keyboard layout that matches the SRA Keyboard layout language. For more information about adding credentials, see Storing VM credentials. For example, if you plan to use a French SRA Keyboard layout in the SRA browser client, add the username and password to the VM Credentials page using a physical French keyboard. If the VM credentials are added with an English keyboard, they will fail when they are inserted using the SRA browser client. Change the localization settings in your VM guest OS to match the keyboard layout you want to use. Use an on-screen keyboard in the VM (either provided by the guest operating system or installed separately). For example, in Windows VMs, use the Windows Virtual Keyboard. Use direct RDP to connect to the VM and interact with it. For instructions, see Accessing VMs with direct RDP.